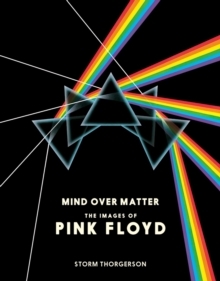 This book features the images from Pink Floyd's album sleeves and promotional material designed for the group. 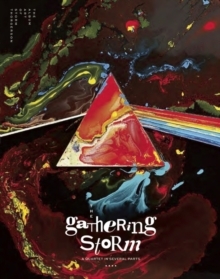 It features almost all Pink Floyd's iconic album covers, posters, singles bags, a selection of band photos, booklet pages and rough artwork that developed into iconic designs. This new edition incorporates an additional 32 pages of material used in re-issues created since 2007. Storm Thorgerson, who died in 2013, was a world-famous designer whose memoirs of his time spent with Pink Floyd are combined with all the artwork he created to represent the band at each stage of their career. 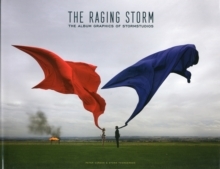 Storm revisited the work he created for the albums and offers insights into the work that went into the creation of this legendary album art. Designers who worked with Storm have all contributed to this new edition of Mind Over Matter. Amongst the new material is artwork from the Oh By The Way box set, the Atom Heart Mother 40th Anniversary 'Wire Cow' sculpture, the Why Pink Floyd? Campaign and the Dark Side Of The Moon 40th Anniversary images and stickers.